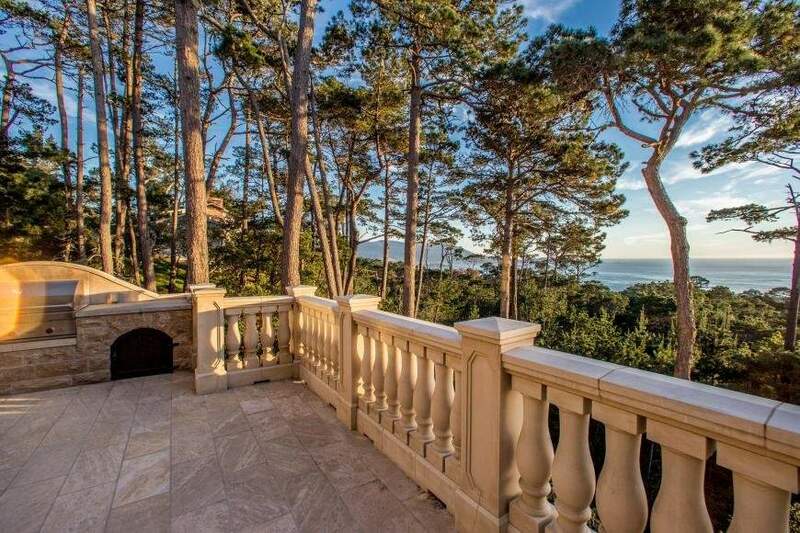 “Vista del Mare” the very essence of the Pebble Beach lifestyle. 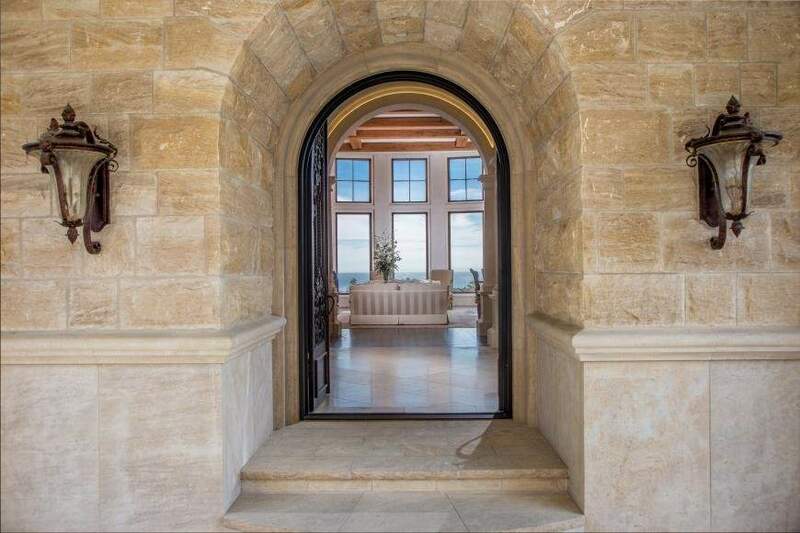 A unique offering for the global estate collector, coastal devotee, or golf enthusiast looking for a timeless European style Ocean Villa. 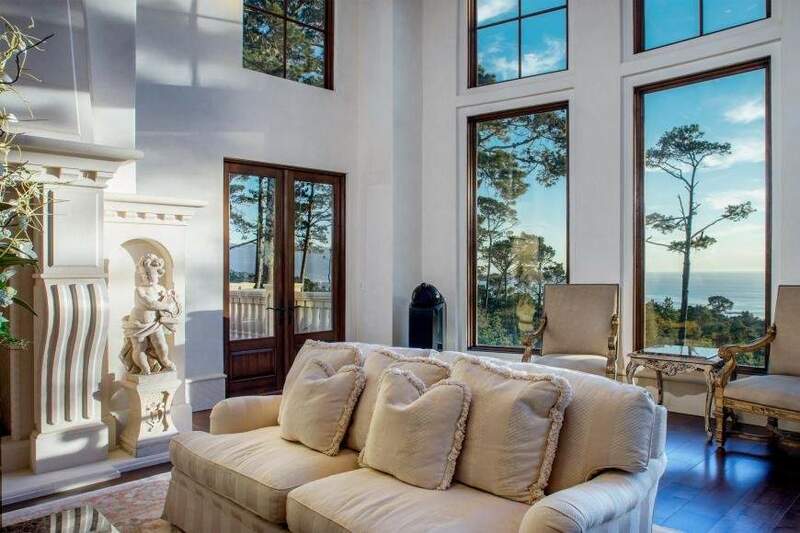 Like a fine piece of art this magnificent stone manor radiates world-class ambiance with seaside lifestyle. 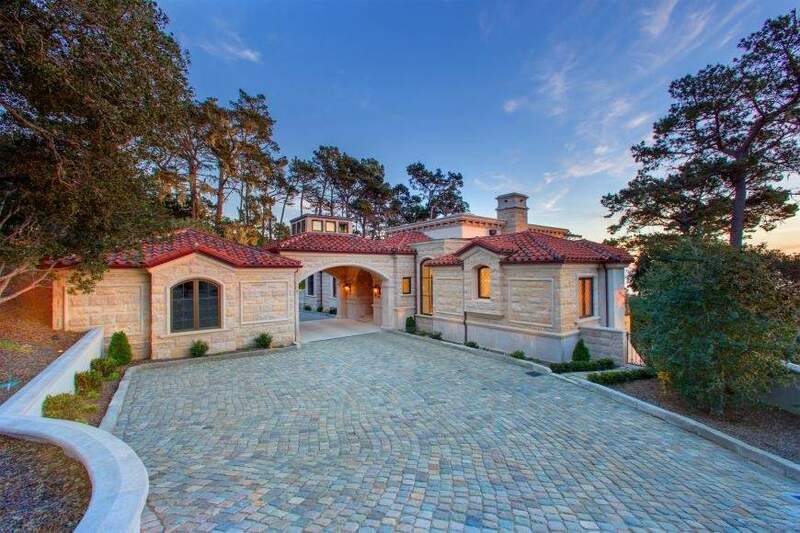 This estate is located in the renowned Pebble Beach community, and next door to the #1 public golf course in the world. 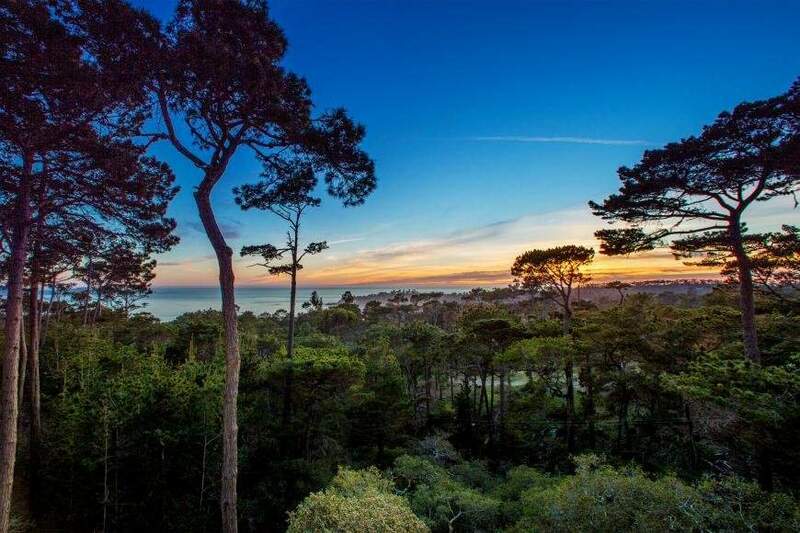 Enjoy world-class events such as the Concourse de Elegance, Pebble Beach Food & Wine Festival, and the annual PGA AT& T golf event. 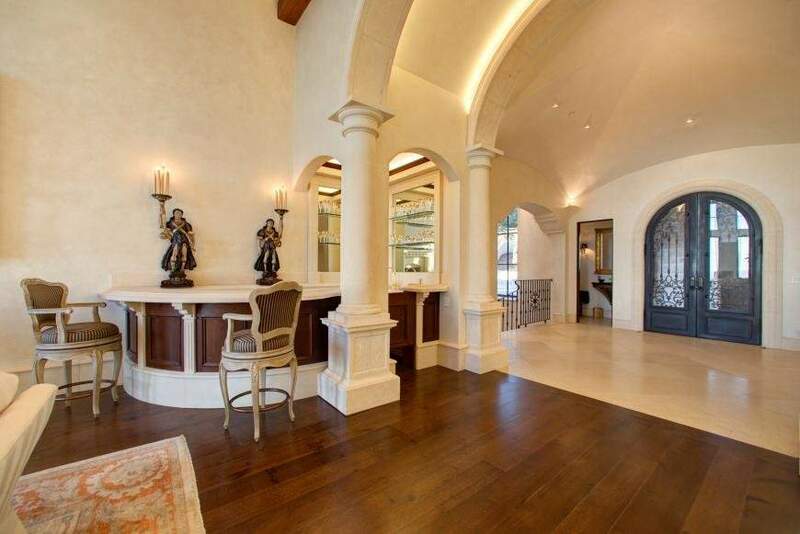 These distinctive events attract famous movie stars, celebrities and luxury connoisseurs. 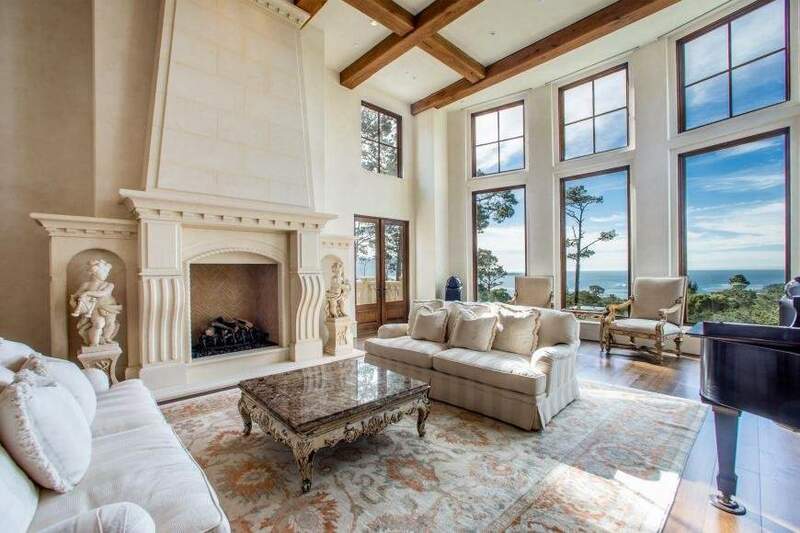 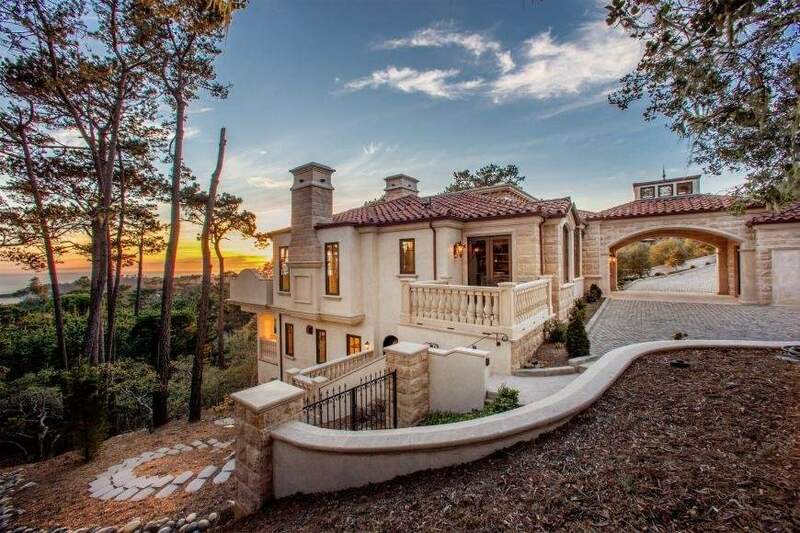 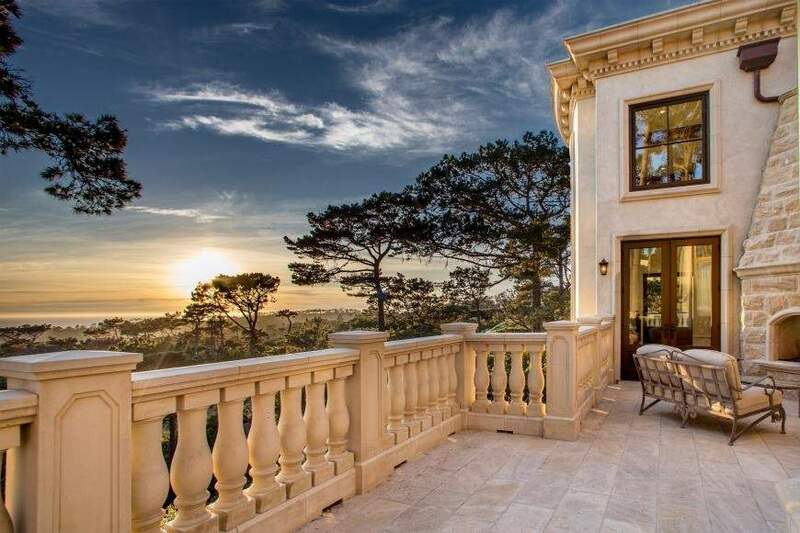 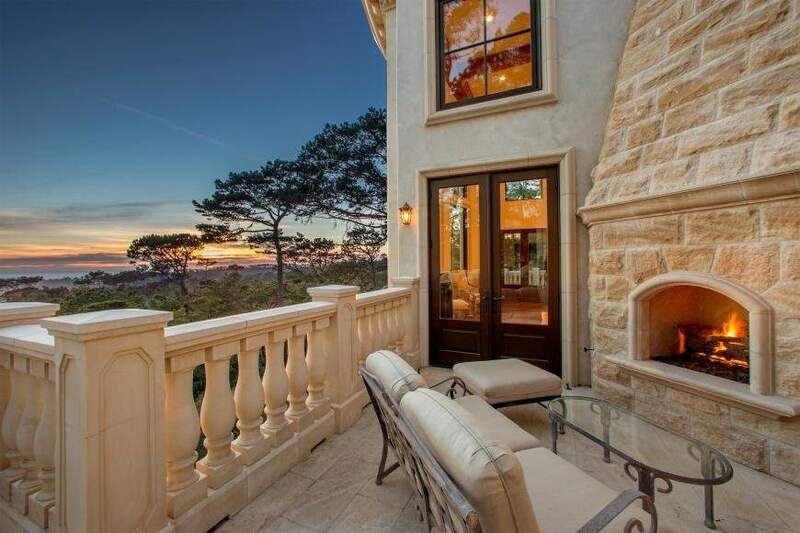 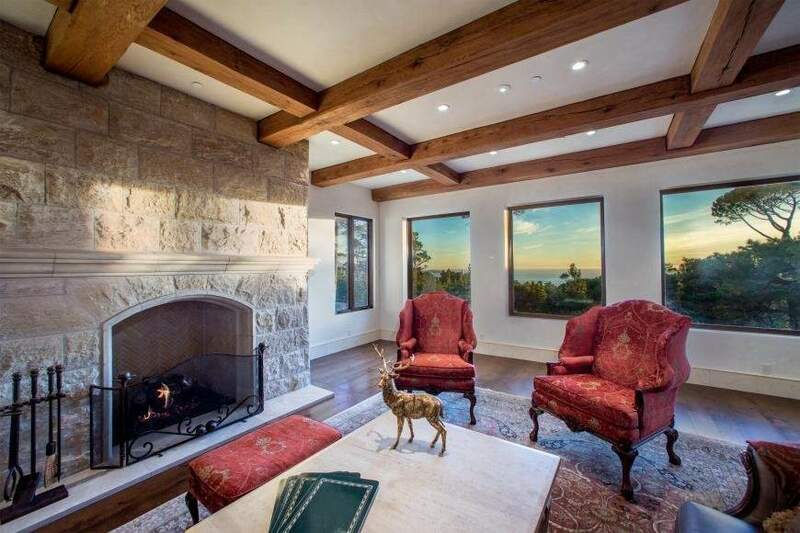 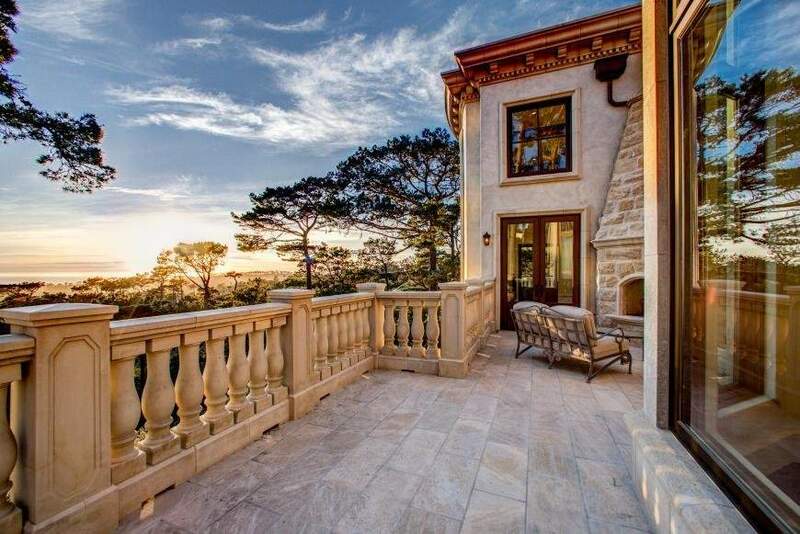 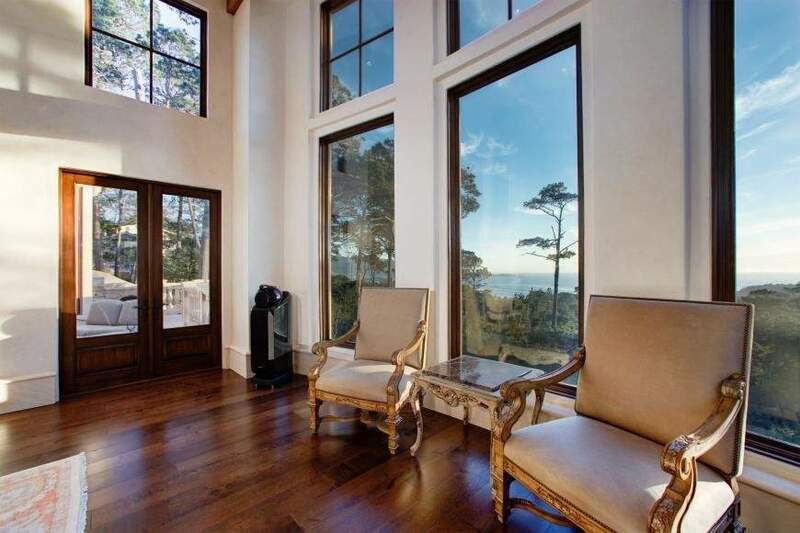 The prestige of these spectacular events adds to the value of being a homeowner in Pebble Beach. 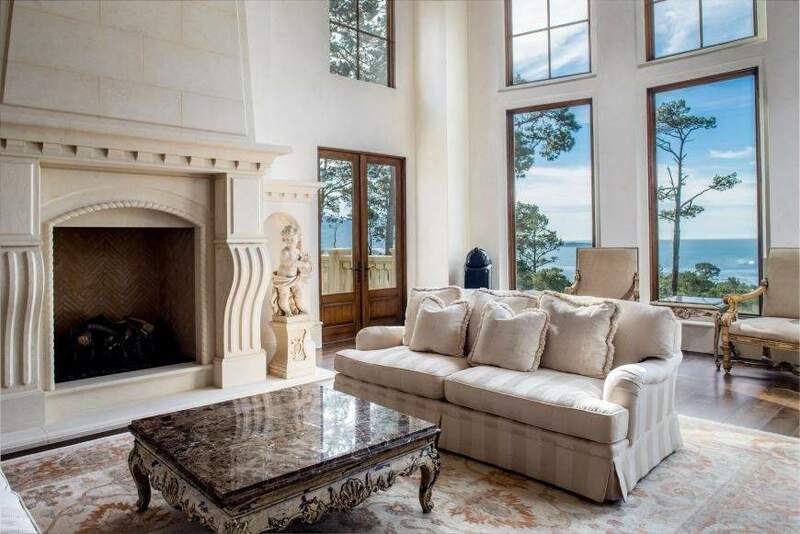 Vista del Mare offers a rare opportunity for those with an appreciation for classic European architecture, and “state of the art” luxury amenities. 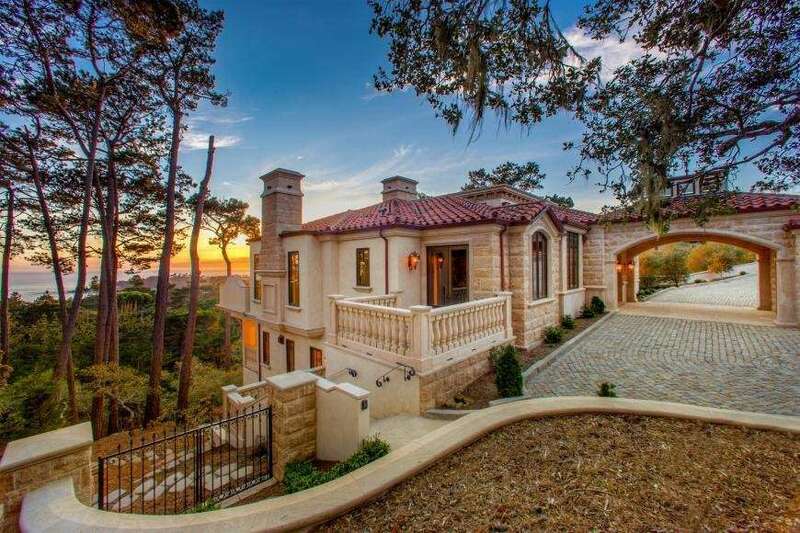 Dramatic design features utilizing Limestone façade, authentic 400-year-old reclaimed French cobblestones, Mediterranean Roman roof tile, and 100-year-old reclaimed White Oak beams. 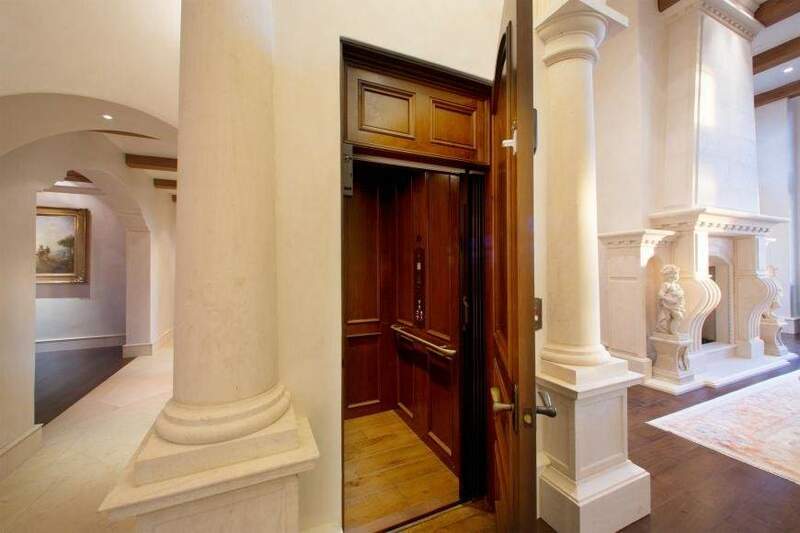 Hand crafted limestone columns & baseboards, French style cross–sawn oak & limestone floors, and an impressive circular Limestone staircase. 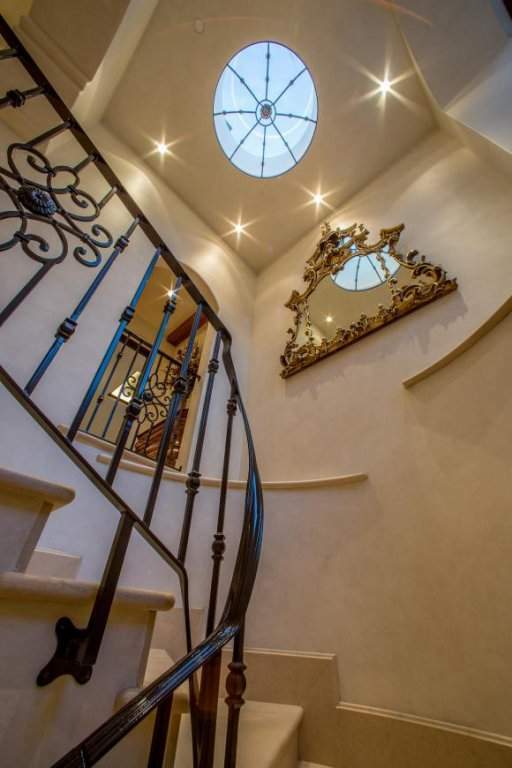 Even the most discriminate buyer will appreciate the exquisite custom design and architectural elements. 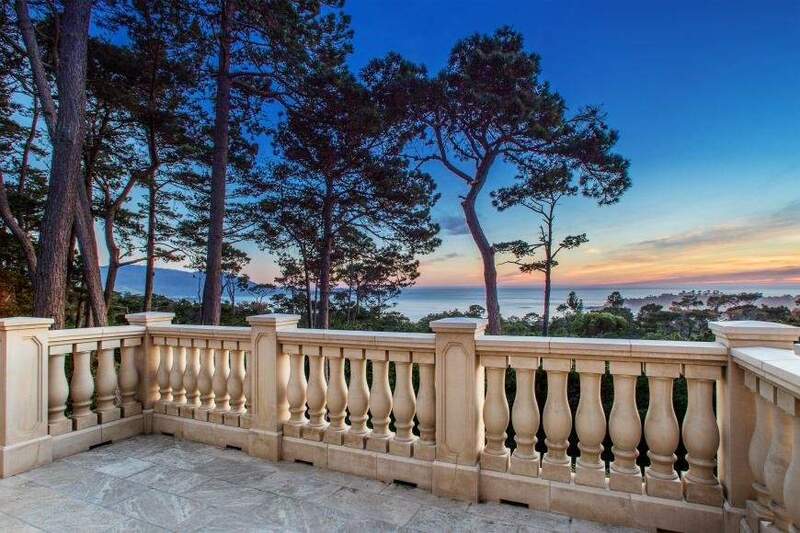 Perched above the Pacific Ocean and situated on a spacious lot Vista del Mare is minutes away from World famous Pebble Beach Lodge. 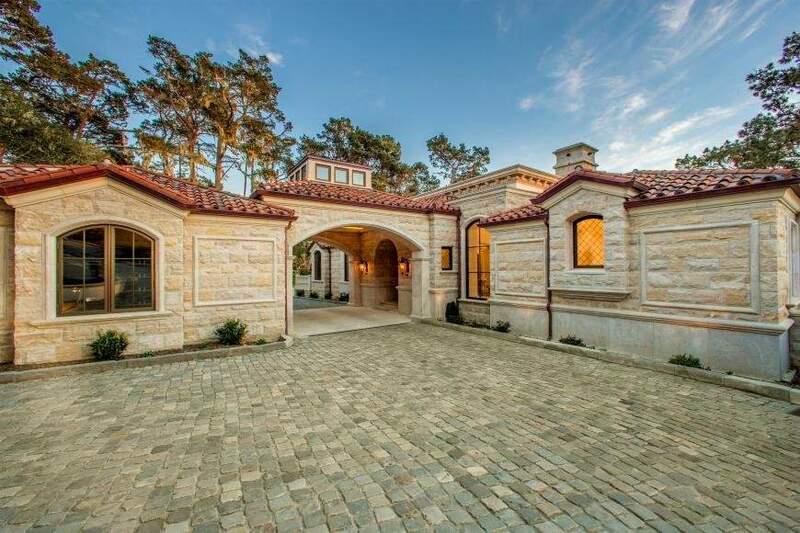 This estate showcases approximately 6569 sq.ft. 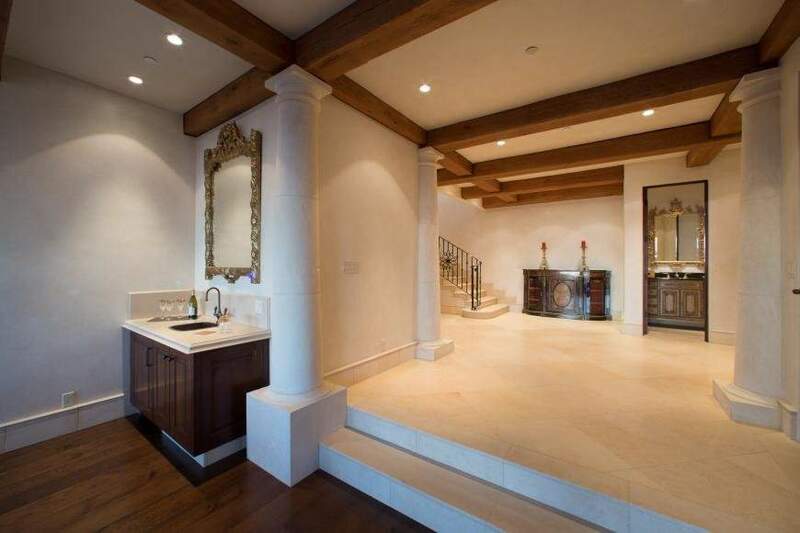 of living space, on 2 levels. 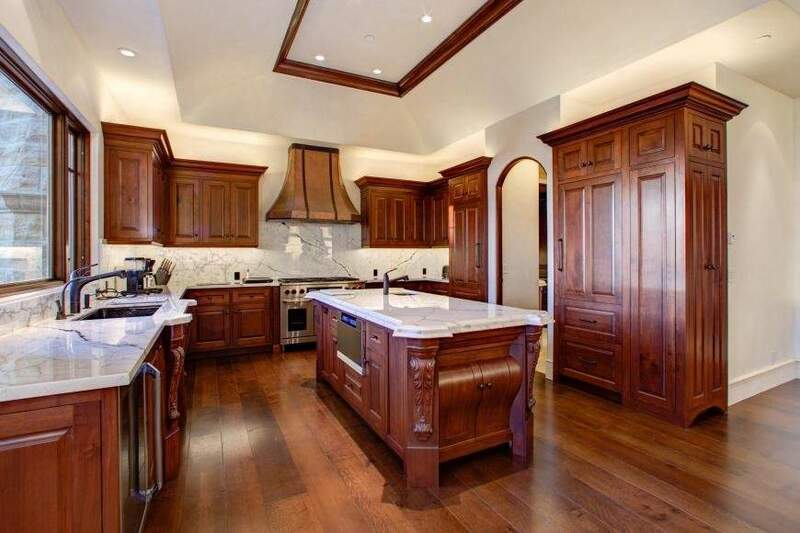 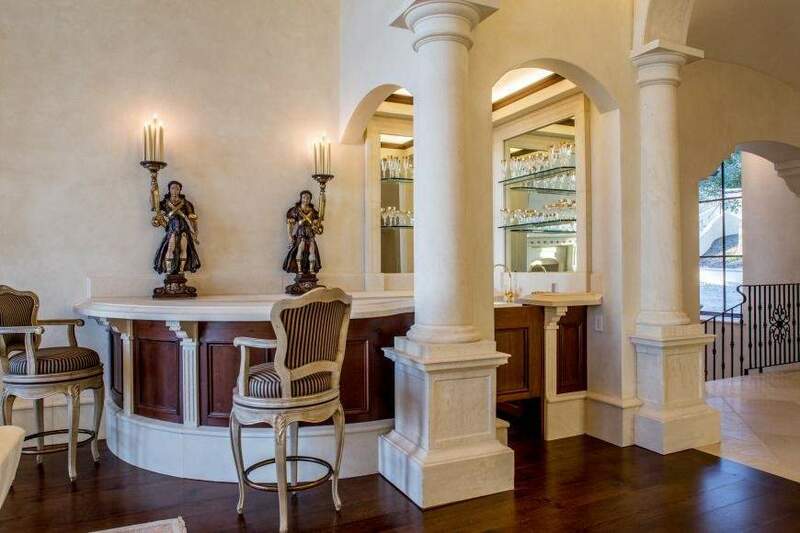 Boasting 3 bedroom suites, 7 baths, library, private guest suite quarters, extravagant gourmet kitchen and family room combo, formal living and dining room, wet bar, 7 fireplaces, wine cellar, media/game room, and elevator. 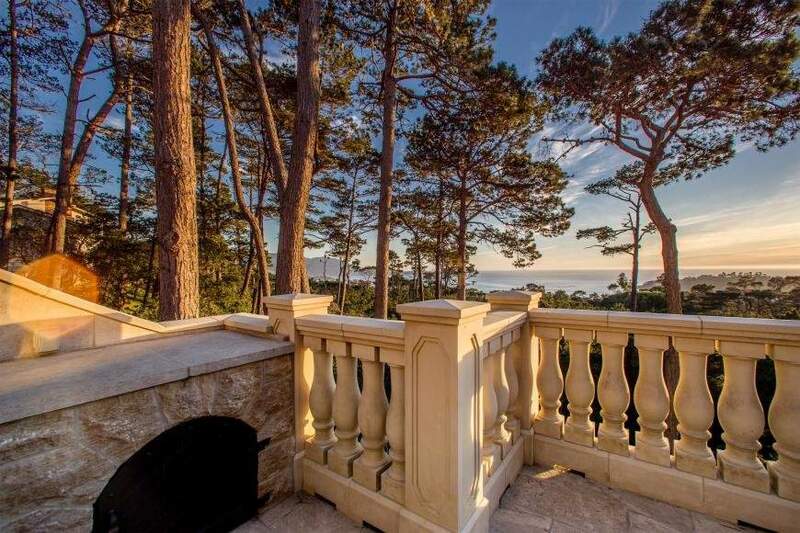 Four ocean side terraces provide impressive white water coastal views of Stillwater Cove, Carmel Beach, and Point Lobos.